I know that natural products are good and all, but they usually come with a hefty price tag. So sometimes I need to think twice before purchasing them. But then my friend told me about Down To Earth's Human Nature - natural everyday products at truly affordable prices. Down To Earth is a very simple company with a very simple goal, that is to have passion for the products they sell. They believe that a high quality product that is good for you, that won't make you or your family sick, and won't make you go broke isn't too much to ask. So I was so happy when I was given the review opportunity to review some of their products. Jeanette from Down To Earth was so generous and she sent me a whole bag of their Human Nature goodies. This product fascinates me. I mean, I didn't know that there is a lotion that works as a moisturizer while keeps the bugs away. This insect repellent lotion is easy to apply, non-sticky, smells great of lemongrass and is DEET-free naturally. However, I feel that it doesn't last too long. It kinda lose its effectiveness after 2-4 hours and you need to reapply. Works well for short kids outdoor activity, but not those long ones unless you are there to reapply for them. But I normally uses this lotion on my kids before going to bed, because we leave our windows open at night for a little breeze. And so far so good because our place has not many mosquitoes. My kids sleep soundly at night and it smells great too. So yes, I like this product. All Kids Shampoo and Body Wash 2-in-1 always win me over. I love using the same product for their hair and body. Is so much simple than me fumbling for different bottle of shampoo and body wash when my kids are screaming murder when I try to wash their hair! And when used as a body wash, there is no lather and it works just as well. It doesn't dry Shern's skin as well thanks to the avocado oil and aloe vera content. So I just simple love this product, and the fact that it smells so fresh adds points to this product too. Totally score! I never thought this would be my favourite product that Jeanette sent me. Before this, I didn't even like using baby oil. I thought baby oil is greasy and yucky, and since I don't massage my baby, I'd never even bothered buying any. But when Jeanette asked me to try putting a drop or two of this baby oil on Khye's milk rash on his face, I was so surprised to find that it is non-greasy. It somehow glides smoothly on Khye's cheeks and then it absorbs into the skin. And after just 3 days, the milk rash were all gone! Amazing! Now what is left are the scars. Doctors told me the scars won't be permanent though, and I really hope so! I find that this pure sunflower baby oil not only moisturize, but it heals and nourish the baby. I also applied a little on my finger and then wipe it in Khye's navel/belly button and gently cleaned the black spots there as the oil provides gentle removal of stubborn dirt. Furthermore, I also applied this baby oil on myself. I applied a few drops on my dehydrated skin on my legs. Usually I don't do that because I find other moisturizer too greasy for me. But I find this baby oil non-greasy after it dried up and it locked in the moisture when I applied it after taking a shower. This is why I so loved this product. So many good uses. And if you are the type that do massage your baby, you can even use it to massage the baby for some mum and baby bond. Love it so much. As much as I loved the Baby Oil, I'm not so much in favour of these two Body Butter Creams. First of all, they are too luxuriously rich for me. Yes I know that body butter is supposed to be rich, so I think it is me with the problem, and not these creams. After using them, I find them too greasy and it irks me that whenever my legs touches any part of my furniture or floor, it leaves a slab of grease on it. Eeekkk. They smell lovely when I flipped open the tube cover. But upon applying them on my legs, they don't smell so nice any more. The after effect smell is just different from when I flipped the tube cover open. So it is not that they are not working fine, as they moisturize very well, creating a rich layer to protect my legs against dryness. It is just me who didn't like the rich cream. However, I've heard that they are well loved for many others who'd tried them, especially those with eczema or dry skin.So I guess you guys need to try them out for yourself! This baby lotion however has my thumbs up. Instead of powder, I used this lotion on both Khye and Shern after shower, and is non-greasy and smells great too. It has a mild baby smell which I like. Just like the Bug Shield Lotion, it is also easy to apply, and I love that it is all natural. Truthfully, the bubbly gummy smelled a little weird, and a little too overpowering. I would prefer the smell to be a little milder. However, smells aside, I find this spray especially useful when sometimes I need to spray the tray of the high chair/baby chair at the restaurants, and also on toilet seat covers whenever Shern poos at the public toilet. I can also foresee that I may find it useful to spray on surfaces or toys that Khye loves to bite on because of lately, everything goes into Khye's mouth the moment he gets his hands on them. And also I liked that it is natural and safe enough to spray their hands as the aloe vera will protect the young skins. But what I love most about this product is the convenient pocket size packaging, as it fits into my Storksak Emily Diaper Bag easily. Totally what I am looking for! Finally, a product for hubby to try. According to hubby, he likes the citrus lemon scent, which is very refreshing. And he especially likes the little granules in the wash which is the bamboo granules for an effective scrub. What I like about it is the size as I can foresee bringing the small packaging facial wash for our frequent domestic trips. 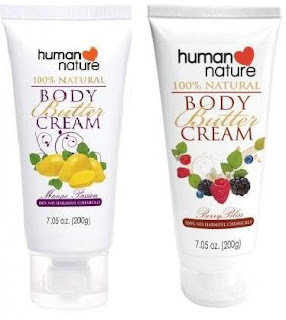 All in all, I must say I love Down To Earth's Human Nature Products. They are natural and yet affordable. Click on the links and see the price for yourself, and you will be amazed. 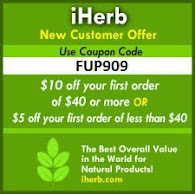 And oh, did I tell you that they also provide FREE SHIPPING when you order 3 products or more. There is an ongoing promotion (valid until 1 Apr 2013) where if you buy RM60 or more (must include NEW products), you will get 10% OFF THE ENTIRE ORDER except for bundles. All you need is to login with a username and password to enjoy the discount! You can also follow and like them on Facebook or their website or click here for the most current offers and news. All you need to do is just to leave a comment in this blog post and mention that you wish to enter this giveaway. It is this easy. Please leave a email address for me to contact you. Giveaway ends on 7th April 2013 11.59pm Malaysian time. The winner will be chosen randomly on 1st April 2013 and will be posted in this post and will be contacted via email. If no reply from the winner within 48 hours, then I will redraw for a new winner. Thank you to all who participated in this giveaway. The winner is Apple Tan. You shd have received an email from me on how to collect the prize. Due to no reply from the winner after 48 hours, the new winner is Win Lyn. Congratulations. * Disclosure: I received all the above items for review purpose, but no monetary incentive was received. All text and opinions are of my own and represents my honest opinion of the product(s). I stumbled upon this blog when I was looking for a more chemical free products for my son. I hope to receive the giveaways as samples to try this product before I fully commit myself into getting them as consumable use for my son. You may reach me at siaolee.hung@gmail.com. Many thanks! I would love to participate in this giveaway. The products looks really good. Thank you for such as great review. will dropby their page to check out their products soon. Hi! I wish to participate in the giveaway. My email add is lynkss@yahoo.com. Thanks! A lot of beauty finds are also available on eBay and Coupontoaster, probably the biggest auction portal. Although eBay is renowned, everyone who sells beauty discount deals and coupons on this platform are not so renowned.